Announcement Welcome to JillianReneDecor! (As seen in HGTV Magazine + Country Living Magazine) Offering fresh handmade home décor including our signature colorblock pillows, designer decorative pillows, coordinating striped pillows, geometric decorative pillows, studded pillows, and our new fringe pillows. Handmade just for you in Richmond, VA, by artist and interior designer, Jillian Carmine. AS SEEN: B side Collective Magazine - Dec 2018, MyDomaine - Oct 2018, House Beautiful - Sept 2018, Better Homes and Gardens Magazine - June 2018, The World of Interiors Magazine - Dec 2017, Homepolish - Nov 2017, GQ Magazine - Sept 2017, The World of Interiors Magazine - Aug 2017, Style by Emily Henderson - May 2017, GQ Magazine - April 2017, Glamour Magazine - Jan 2017, Luxe Interiors + Design Magazine: Chicago - Dec 2016, Rachael Ray Show - Dec 2016, The World of Interiors Magazine - Oct 2016, MyDomaine - Sept 2016, Better Homes and Gardens Magazine - Sept 2016, GQ Magazine - Sept 2016, Vogue - June 2016, World of Interiors Magazine - June 2016, House & Garden Magazine - April 2016, Vogue - March 2016, Homepolish - March 2016, Redbook Magazine - Feb 2016, CBS hit series Supergirl - Nov 2015, Real SImple - Oct 2015, Good Housekeeping Magazine (Emily's Style at Home) - Oct 2015, Refinery29 - Sept 2015, Interiors & Living Magazine - May/June 2015, Seattle Refined - January 2015, The Tonight Shown Greenroom, Details Mag - Sept 2014, Romantic Homes Magazine - July 2014, Matchbook Magazine - June 2014, PopSugar Home - Best Decor Shops on Etsy, RHome Magazine - March/April 2014, the Wall Street Journal - Feb 2014, Cake & Whiskey Magazine - Feb/March 2014, Romantic Homes Magazine - Dec 2013, Refinery29, Design Sponge, Good Housekeeping Magazine - Oct 2013, Cottages and Bungalows Magazine - July/Aug 2013, Country Living Magazine - March 2013, Adore Home Magazine - Feb/March 2013, HGTV Magazine - Jan/Feb 2013 Issue, Sarah Richardson Design - Sarah's Finds, Better Homes and Gardens - Style Spotters, Apartment Therapy + Emily Henderson's Blog - Best Striped Pillows on Etsy. Please take a moment to check out my Profile and Policies for more information about me, my designs and your purchase. I'm very proud to be sharing a piece of myself with you and I hope you enjoy! Let me know if you have any questions... I'd love to hear from you! All artwork, images and content © 2012 - 2019 JillianReneDecor. Welcome to JillianReneDecor! (As seen in HGTV Magazine + Country Living Magazine) Offering fresh handmade home décor including our signature colorblock pillows, designer decorative pillows, coordinating striped pillows, geometric decorative pillows, studded pillows, and our new fringe pillows. Rose Quartz Colorblock Pillows as seen in Vogue Magazine - March 2016. Behind the scenes in the studio. PRESS: B side Collective Magazine - Dec 2018, MyDomaine - Oct 2018, House Beautiful - Sept 2018, Better Homes and Gardens Magazine - June 2018, The World of Interiors Magazine - December 2017, Homepolish - November 2017, GQ Magazine - September 2017, The World of Interiors Magazine - August 2017, Style by Emily Henderson - May 2017, GQ Magazine - April 2017, Glamour Magazine - Jan 2017, Luxe Interiors + Design Magazine, Dec 2016, Rachael Ray Show - Dec 2016, The World of Interiors Magazine - Oct 2016, MyDomaine - Sept 2016, Better Homes and Gardens Magazine - Sept 2016, GQ Magazine - Sept 2016, Vogue - June 2016, World of Interiors Magazine - June 2016, House & Garden - April 2016, Vogue - March 2016, Homepolish - Feb 2016, Redbook Magazine - Feb 2016, on the CBS hit series Supergirl - Nov 2015, Real Simple - Oct 2015, Good Housekeeping Magazine with Emily Henderson - Oct 2015, Refinery29 - Sept 2015, Richmond Magazine - June 2015, Interiors & Living Magazine - May/June 2015, Seattle Refined - January 2015, The Tonight Show Greenroom, Details Mag - Sept 2014, Romantic Homes Magazine - July 2014, Matchbook Magazine - June 2014, PopSugar Home - Best Decor Shops on Etsy, RHome Magazine - March/April 2014, the Wall Street Journal - Feb 2014, Cake & Whiskey Magazine - Feb/March 2014, Romantic Homes Magazine - Dec 2013, Refinery29, Design Sponge, Good Housekeeping Magazine - Oct 2013, Cottages and Bungalows Magazine - July/Aug 2013, Country Living Magazine - March 2013, Adore Home Magazine - Feb/March 2013, HGTV Magazine - Jan/Feb 2013 Issue, Sarah Richardson Design - Sarah's Finds, Better Homes and Gardens - Style Spotters, Apartment Therapy + Emily Henderson's Blog - Best Striped Pillows on Etsy. The Jillian Rene Decor brand emphasizes design, color and quality. We use original patterns to cut down fabric, measure and construct each pillow by hand. The process includes a detailed system of parts that allows us to achieve the quality product that our clients have grown to love. Inspiration for new designs is drawn from nature, fashion and a nod to mid century modern; in addition to form, pattern and texture. Combining carefully selected fabrics gives a finished result much different than printed fabrics. The textures are richer and the patterns are more defined. The very notion of JillianReneDecor all started back when I was in art school. 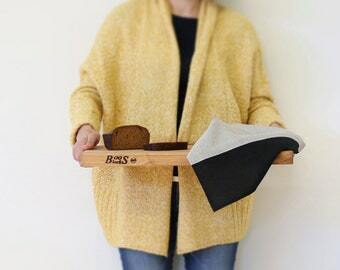 I began to realize that my passion for making was equally as strong as my passion for design while studying interior design and earning my Bachelor of Fine Arts from Virginia Commonwealth University's School of the Arts. There's just something incredibly rewarding about coming up with a design and meticulously crafting a finished piece from scratch. 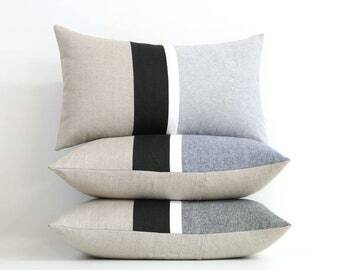 Shortly after graduating, I launched my first colorblock pillow design in July 2012. That design was discovered by leading stylists in the industry and received press from publications including HGTV and Country Living Magazine. That design has evolved into different sizes and color combinations and has quickly become the staple of the Jillian Rene Decor brand. It has also charted the path to new complimenting designs. I must thank Etsy for giving me the platform to launch my business and share my original designs with you! It is my hope to spread a little joy around the world with each cheerfully artistic pillow I create; allowing you to change the whole look of a room, easily and affordably. All designs are original to JillianReneDecor. Each is designed and handcrafted by artist and interior designer, Jillian Carmine. I'm the one woman show behind JillianReneDecor. I design and handcraft all of my work from scratch - from start to finish using high quality materials. I'm partial to bright bold colors, inspired by nature and I adore all things Mid Century Modern. Thanks for stopping by to check out Jillian Rene Decor! Please take a moment to check out our Profile and Shop Policies for more information about us, our designs, and your purchase.